Tax planning is an important financial objective of any person. Tax planning starts when a person starts working and continues almost through-out one’s life, even after retirement. 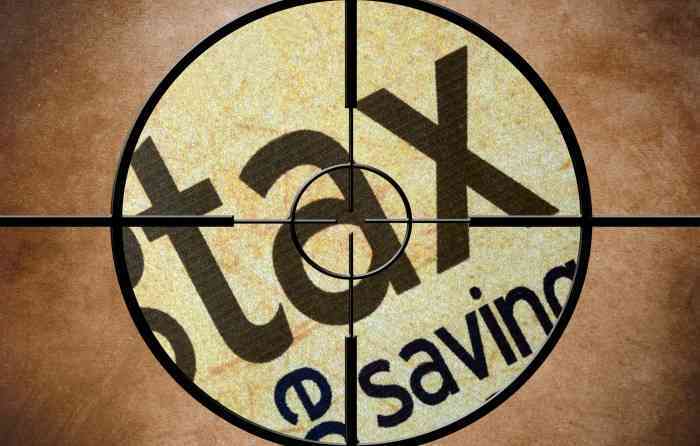 While there are various aspects of tax planning, in today’s blog we will focus only on tax saving. I have observed that, people often fail to look at tax planning objectively and start making investments related to tax saving in a very mechanical way. Tax planning is an integral part of our financial planning process and thoughtful planning goes a long way in helping us achieve our financial goals. The Section 80C limit of eligible deductions from taxable income has been raised from Rs 1 lac to Rs 1.5 lacs in the recent Budget. This gives a further tax saving of Rs 5,000 to Rs 15,000 to tax payers, depending on their tax brackets, if they are able to invest additional Rs 50,000 towards the increased limit of Rs 1.5 lacs under Section 80C. Apart from Section 80C, there are other sections of the Income Tax Act that allows tax payers to claim further deductions from their taxable income beyond the 80C limit. In our article, Non Investment considerations in Tax Planning, we have discussed various eligible deductions under other sections of the Income Tax Act like (Section 80D, 80DD, 80DDB, 80U, 80E, 80G, 80GG and 24). Tax payers should familiarize themselves with the eligible deductions allowed under the different sections of the Income Tax Act, to maximize their tax savings. As discussed earlier, tax planning is an integral part of our financial planning process. Tax saving investments should be aligned with our financial planning objectives. In other words, investors should ensure that tax-saving investments are in sync with our financial goals, financial situation, risk profile and optimum asset allocation guidance (please read our article, 6 Key steps of Financial Planning process). Our financial situation and goals are not static and change over time. Accordingly, tax planning should not be a mechanical exercise to meet the Section 80C requirement, but should be tuned according to the needs of the different stages of life, as we will discuss in this blog. Please note that the tax planning strategies discussed in this two part article are general guidelines. Your tax planning strategies will depend on your own financial situation and specific financial goals. Your contribution to the employee provident fund will go towards the eligible 80C investment. Your employer deducts your contribution to your PF account from your monthly pay cheque (12% of your basic salary). The annual interest earned on your PF savings is 8.5%. You should start planning for your long term financial goals, like retirement planning. Since your risk tolerance at this age is high, your asset allocation should be weighted towards equities. Equity Linked Savings Schemes (ELSS) is an excellent investment option for this age group. Equity Linked Saving Schemes (ELSS) is one of the most popular investments allowed under Section 80C, since you can avail triple benefits of tax savings under Section 80C, capital appreciation and tax free returns. An ELSS is a diversified equity scheme with a lock in period of three years from the date of the investment. You should consider investing in ELSS through a Systematic Investment Plan. Compared to other tax saving instruments under Section 80C like PPF, NSC, and Tax saving Bank FDs ELSS has the potential of offering much higher returns over the long term. You should ensure that you have adequate health insurance or Mediclaim cover. Your employer may provide you health insurance under the group health insurance plan and so you may not need to buy additional Mediclaim. But you should make sure that the health insurance cover in your employer’s group health insurance plan is adequate for your needs. You should check what kind of benefits your employer’s group insurance policy offers. Check what is the total amount and nature of illnesses that your company’s group insurance covers. If you have a family, does the policy cover your spouse, children, parents and other dependents? If your company’s group insurance is not adequate for your needs, then you should buy additional Mediclaim to protect your family’s healthcare needs. Mediclaim premium for self, spouse, dependent children and parents are eligible for deduction under Section 80D. The maximum allowable deduction is Rs 15,000 for self, spouse and dependent children. If an individual pays for Mediclaim premium of parents who are senior citizens, then he or she can claim an “additional” maximum deduction of Rs 20,000. If you had taken an educational loan for your higher education and are now repaying the loan, you can claim deduction on the interest paid on the loan under Section 80E of the Income Tax Act. The entire amount of interest paid in the year is eligible for deduction. There is no upper limit. However, there is no tax benefit for principal repayment. You should note that this benefit also extends to loans for higher education of your spouse, if you are paying the interest on her loan as well. You can also invest in Public Provident Fund (PPF). PPF is one the most popular choices under Section 80C of the Income Tax Act, since it offers good interest rates, ensures capital safety and tax free returns. The current interest rate of PPF is 8.7%. Though rates will vary from year to year, the yield has been pegged at 25 basis points above the 10 year Government Bond yield. However, investors should bear in mind their asset allocation target. At this stage of life (please read our article, Asset Allocation strategies for different age groups) investors should prioritize ELSS investments over PPF for tax saving, unless they have sufficient equity investments in their overall investment portfolio, over and above tax saving investments. As your salary increases, your contribution to the employee provident fund will also increase. Since your EPF contribution automatically goes to your 80C, you will be able to save more taxes. If you have children, you can claim a deduction towards their school tuition fees. Please note that, fees paid for private tuition or coaching classes are not eligible for 80C deduction. After debt repayment and generating monthly income, the insurance cover should also be adequate to meet the future needs of your dependents, like your children’s higher education, marriage etc. For more details on determining the amount of life insurance cover, please refer to our article, How much life insurance is adequate). If you bought a life insurance plan ten years ago based on your income back then, the sum assured will not be enough to meet your family’s current lifestyle and needs, in the unfortunate event of your untimely death. You should buy additional term cover, if the sum assured of your current policy is not sufficient for your needs. If you are buying Unit Linked Insurance Plans (ULIPs), you should clearly understand the various charges in the policy. Suffice to say, ULIPs will give much lower returns in the short term compared to mutual funds, due to premium allocation, policy administration and other charges. You should not buy ULIPs just to maximize tax savings. If you are not clear about how ULIP charges will affect your investment returns, you should avoid ULIPs. Most Indian homeowners make their first property purchase in their early thirties. You can claim a home loan principal payment up to the maximum 80C limit (Rs 1.5 lacs in the new Budget). You can claim the benefit irrespective of whether you occupy the property or not. 80C deduction can be claimed on home loan principal payment, only after you get possession of you property from the real estate developer. You can also claim deduction for interest paid on home loan for a self occupied property under Section 24 of the Income Tax Act. In the previous tax regime, you could claim a deduction of up to Rs 1.5 lacs per annum on account of interest paid on home loan for a self occupied property was. The new Finance Minister has also raised the limit of deduction for interest paid on housing loan under Section 24 of the Income Tax Act by Rs 50,000 to Rs 2 lacs per annum. Please note that if you have rented out the property, then there is no limit and the entire interest paid can be deducted from you rental income to calculate the net income from your House Property for Income Tax purpose. You should also re-evaluate your health insurance cover since you may have more dependents now. The group health insurance plans of many companies provide a cover of Rs 2 lacs. But it may not be enough. If you are living in a metro city, a major illness in your family can cost you Rs 4 – 5 lacs. If you have a family it makes more sense to buy a family floater plan. In this type of plans, the entire family is covered for the amount they share and the benefit is that, per person premium is lower. As discussed earlier, you can avail deduction of Rs 15,000 (Rs 20,000 if you have dependent parents) for Mediclaim premium under Section 80D. After claiming deductions for EPF, children’s tuition fees, insurance premium and home loan principal payment, if you can still make 80C investment, then you should plan your investment according to your risk tolerance level and your optimum asset allocation strategy. Since your risk tolerance level is likely to be high your tax saving investments should be weighted to equities. So continue to invest in ELSS through the SIP route. In this article, we have discussed some tax planning ideas for people in the age group of 20 – 30 years and 30 – 40 years. Please remember that tax planning is not the end all of financial planning. Other financial planning objectives like retirement planning, children’s education planning, debt planning are just as important. Therefore tax saving investments should not be the only investment you make towards long term financial objectives. In our next article, we will discuss tax planning ideas for people in the age group of 40 – 50 years, 50 – 60 years and beyond 60 years.